Email us at dave@reachwaterfront.com. Tell us what kind of property interests you... in town or on the water... bay, ocean or creek... and also how much you want to invest. We promise to do a careful search and get back to you promptly. 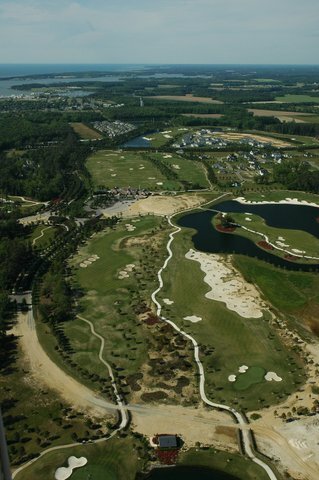 Currently, there is an unusually large selection of properties available, from colonial homes to the developing Bay Creek Resort, with golf courses designed by Arnold Palmer and Jack Nicklaus. If you want to build your dream house, there are plenty of vacant lots filled with trees that provide privacy. Condos are available in Chincoteague and in the Bay Creek in Cape Charles. And the Eastern Shore is dotted with picturesque small towns such as Onancock, Parksley, Melfa, and Wachapreague that provide easy access to local conveniences. You can look at our Featured Listings, and even see every property that is available on the Shore by searching the MLS page on this site. We will try to answer any additional questions you may have. Don't worry if it's listed by another company or agent, we will represent you and can show you all the properties no matter who is selling them. But be warned, waterfront property is becoming increasingly expensive and is once again selling. What's here today may not be here tomorrow. Try Dave at 757 710 8852 he's likely on the move. you can text him or leave a message on his voice mail and he will get back to you. We pride ourselves on being responsive. But don't worry, we're not the kind of agents that pester you.